I’m beyond saddened for London right now. It’s my city, your city but its been torn to shreds for the past four days by mindless vandals and looters. 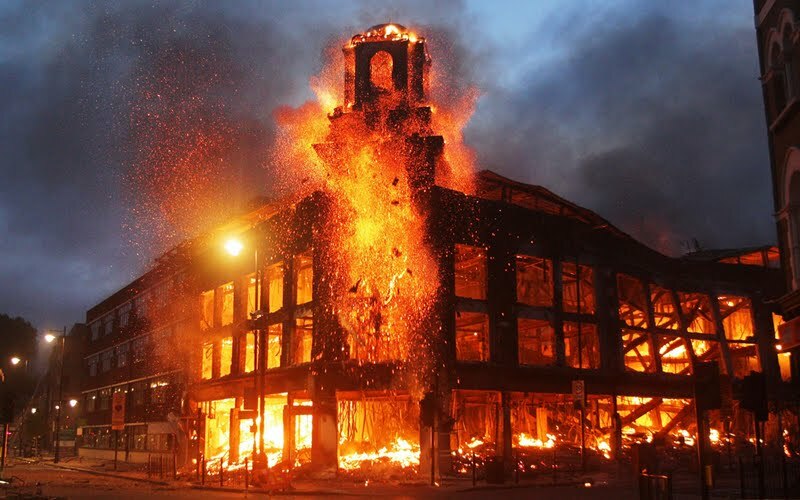 The things that I’ve seen and heard have been horrendous; cars, buildings and people’s livelihood burning to the ground, thugs stealing from an injured and bleeding boy, a five-generation family business going up in smoke. It’s so senseless; there is destruction and carnage everywhere. 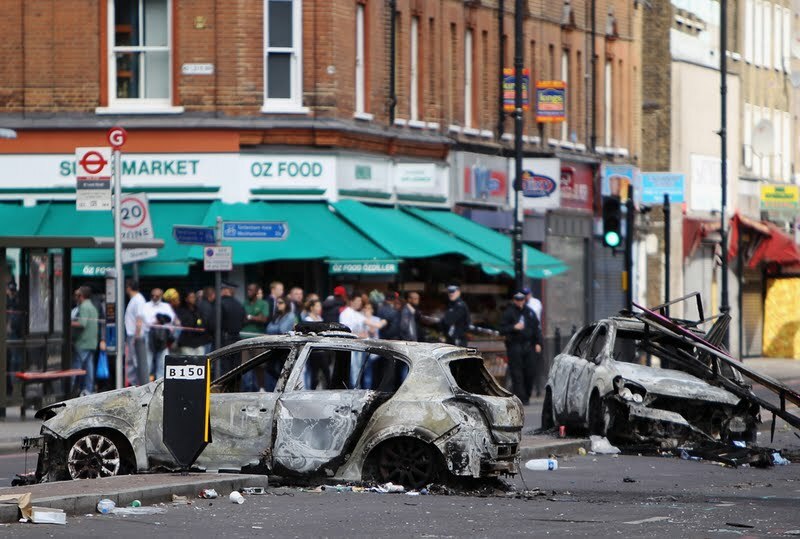 It’s the most widespread mass mob violence for decades, worse than the Brixton riots – and that’s been quoted by people who were there. The police have my utmost respect for doing all they can. And I do believe they are doing everything within their power, with limited resources and backing from people who have the authority to sanction taking a harder line with the looters. It’s an incredibly difficult job, especially with copycat looting popping up all across the city. How can you be everywhere at once? But through all the negativity, there have been some positive glimmers which show London’s true spirit. I salute the Turkish men who protected Dalston and the Asian lads who protected Green Street. Not condoning vigilantism, but you need to protect your communities. The ‘riot clean up’ project has been amazing, so many people giving up their time for our city. I’ve followed on Twitter as they’ve progressed from Chalk Farm to Clapham via Hackney to restore order on the streets. Please get involved, follow on Twitter, Facebook or the website. I find it all very stressful. On my facebook there's loads of rumours going around about my town being looted out tonight. As i was driving back home with my dad all the shops were closed and we haven't even had riots. My town has been 'closed off' as such and all the shops are closed asif its 1am or a sunday morning. I really will pray for the people of london tonight. I am so ignorant on this topic. I heard about it briefly but have no clue why this is happening. I need to find some articles and read up on what's taking place. I am so glad you are safe! So sad that people can sink this low. I really feel for those people who have lost everything and hope that it will be stopped very soon. Stay safe.